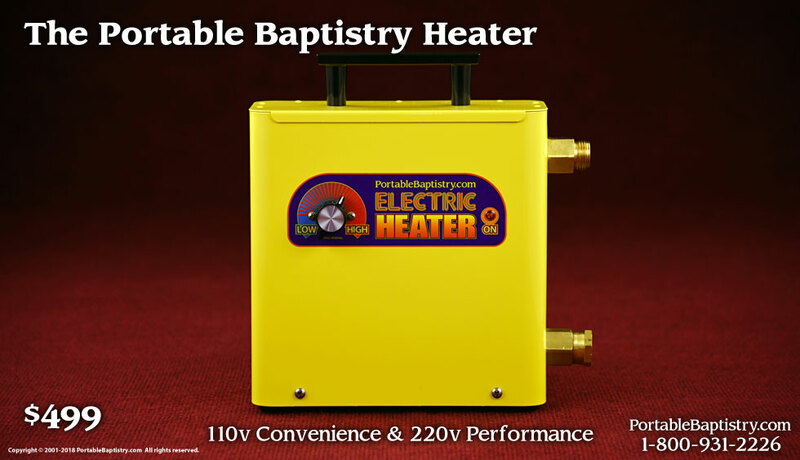 The Portable Baptistry Heater requires no installation and conveniently heats your Portable Baptistry anytime, anywhere. Small enough to fit in a backpack, yet powerful enough to heat any Baptistry. The Portable Baptistry Heater is also offered with the Drain Pump included as the Baptistry Heater Universal Kit for heating baptistries other than the Portable Baptistry. See Baptistry Heaters.